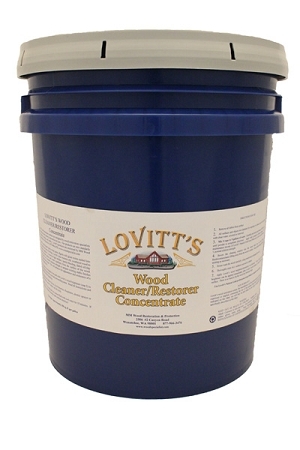 Lovitt's Contractor Bucket of Wood Cleaner is packaged for the professional wood restoration contractor. 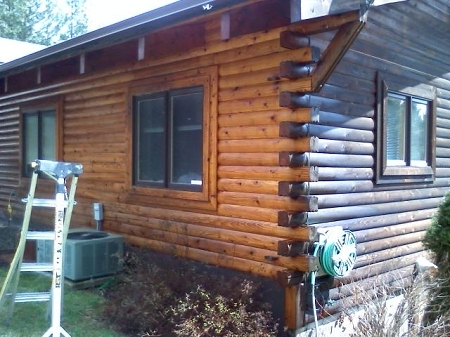 Wood Cleaner bucket mixes up to 135 gallons of professional wood cleaner. 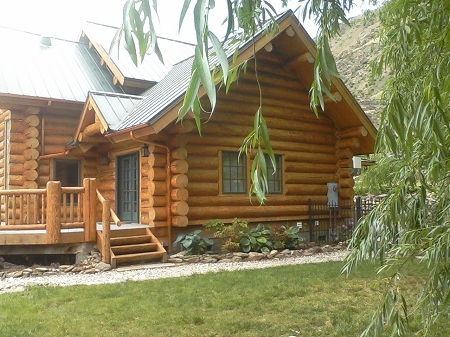 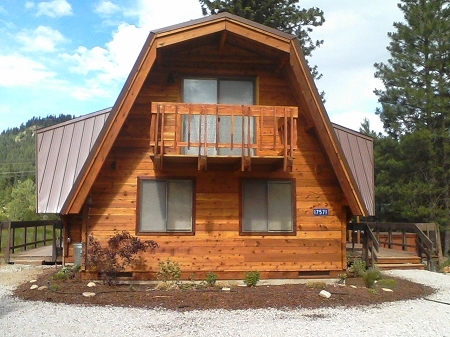 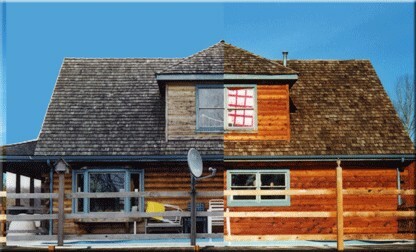 Restores up to 27,000 square feet of wood surface! 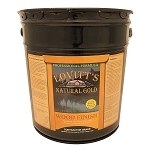 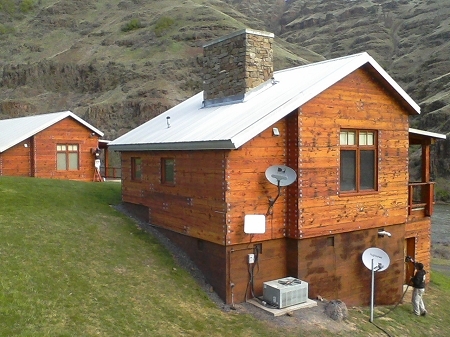 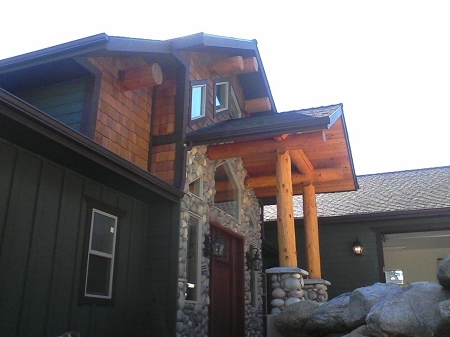 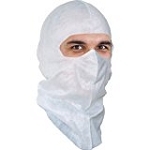 This product is Step #1 of Lovitt's 2-Step wood restoration system.